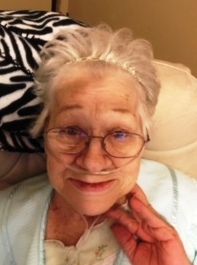 Mrs. Elizabeth Green, 81, of Cave Spring, died Monday evening, March 5, 2018, in a local care facility. The former Elizabeth Louise Harbour, Mrs. Green was born in Rome July 18, 1936, a daughter of the late Howard Lexington Harbour and the late Adele Plemons Harbour. Mrs. Green was a former house parent at Georgia School for the Deaf. Mrs. Green was preceded in death by her husband of 45 years, Lex Lamar Green on March 5, 2011. Besides her husband and parents, Mrs. Green was also preceded in death by her son, Tony Colquitt; by a daughter, Gina Roberts; by a brother James Harbour, and by a sister, Mrs. JoAnn Napalie. Survivors include two daughters, Mrs. Kathy Mason of Rome and Mrs. Patricia Diane Hufnagel and her husband Scott of Dade City, Florida. Four grandchildren and six great-grandchildren also survive. Funeral services for Mrs. Green were held Saturday, March 10, 2018, at 12:00 noon at the graveside of the Bush Arbor Baptist Church Cemetery. Deacon Steve Thacker officiated.